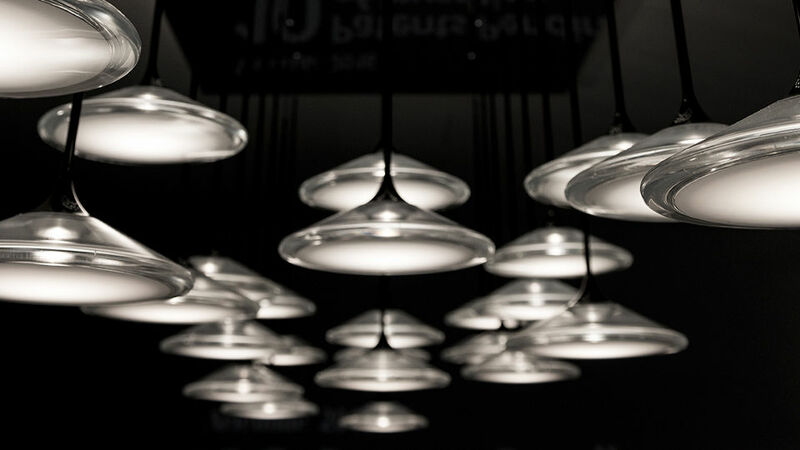 With its light and transparent body, the Orsa ceiling lamp looks like a floating disk of light. The parts of this lamp are reduced to the bare minimum, so that the light expresses itself fully. 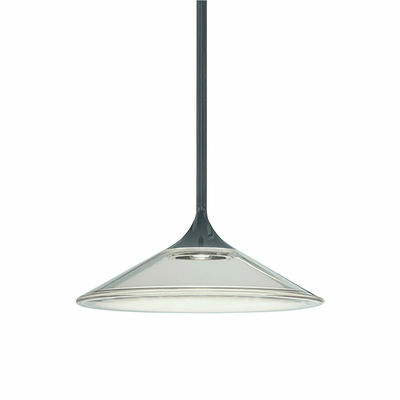 The Orsa ceiling light is designed by Foster + Partners, one of the most prominent British architecture and industrial design agencies. 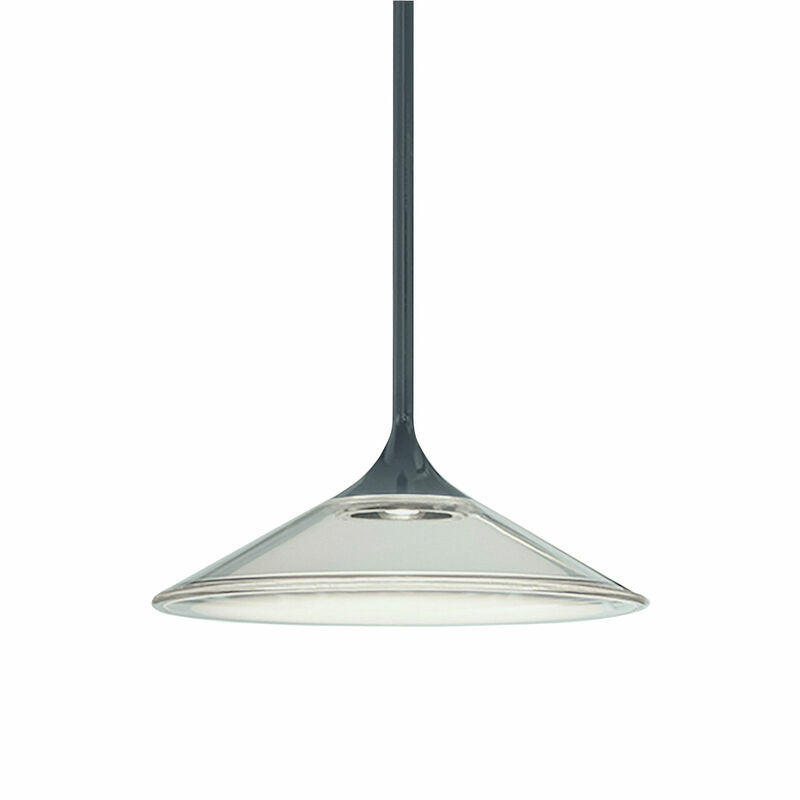 It includes a transparent moulded glass lampshade, fitted with a black metal rod. 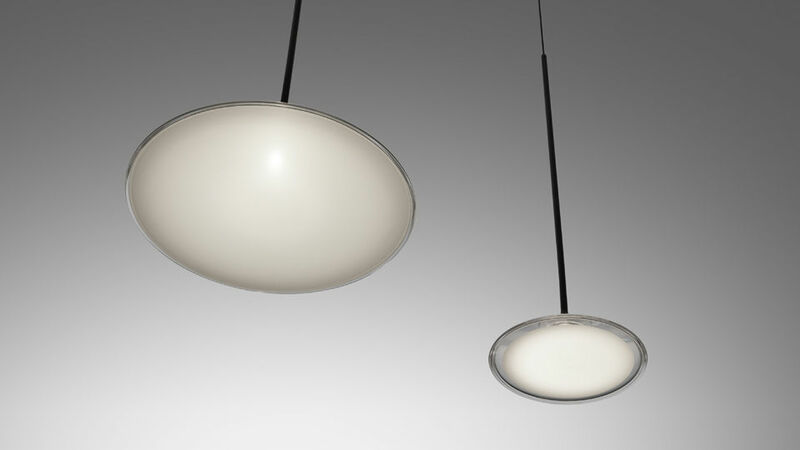 The lampshade is closed with a white translucent disk made from methacrylate. The LED source is invisible, hidden in the metal mount. The light is cast through an engraved lens specially designed to widen the light spectrum. 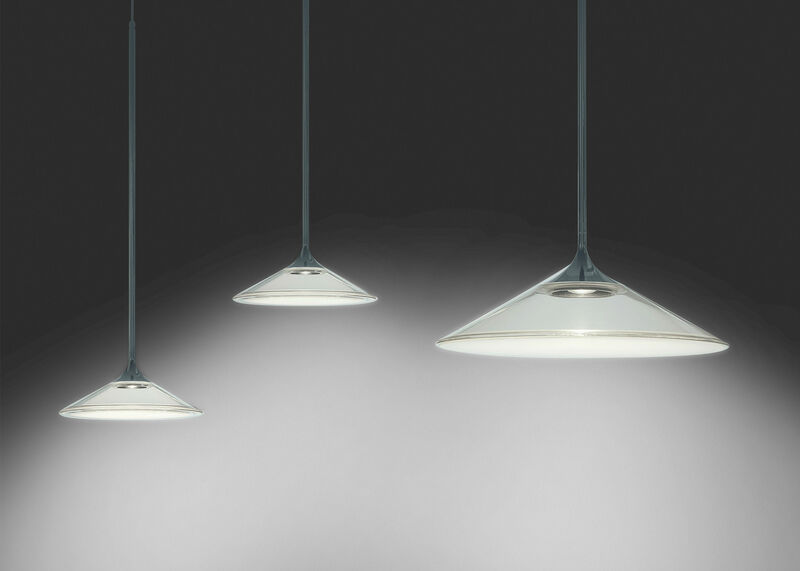 The shade-disk is in opaline, exploiting the entire surface of the LED source, providing maximum light. The light is cast evenly, is functional and not blinding. The Forster + Partners studio experimented with different materials, surfaces and optical systems to obtain the desired lighting effect and brightness.